These Lemon Garlic Green Beans are refreshing and delicious. In a medium saucepan, bring 3 cups water to a boil over medium-high heat. Add green beans; cover and cook for 3 minutes. Strain, and transfer to a medium bowl. In a small bowl, whisk together oil, lemon zest and juice, garlic, salt, and pepper. 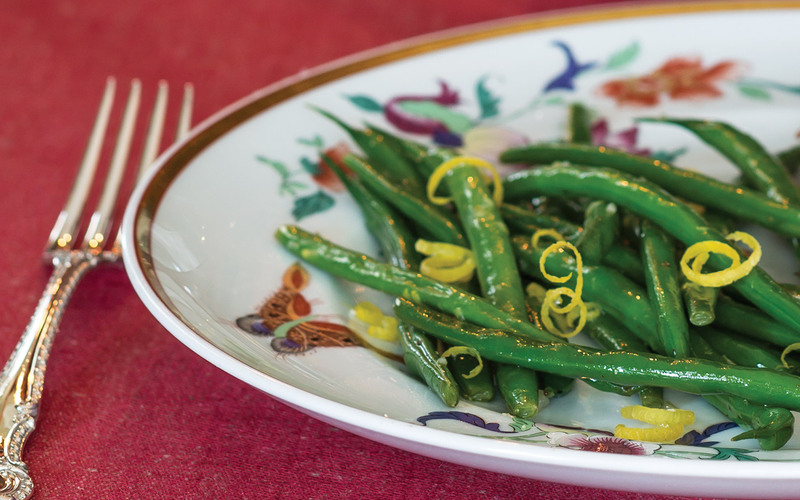 Toss green beans with lemon-garlic dressing. Serve warm.